Installing a 2nd Hard Drive or SSD in an HP laptop equipped with the "HP Upgrade Bay" is easy with our drive caddies designed for the HP Upgrade Bay. 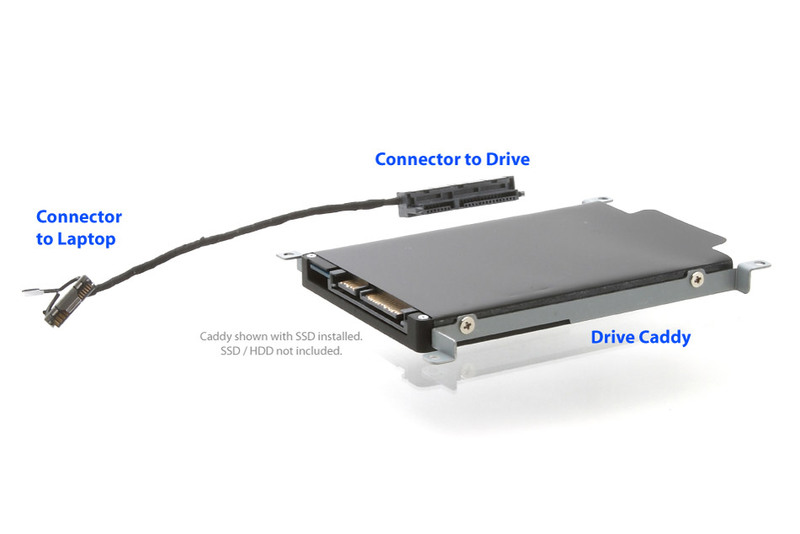 You can use 2.5" SATA Hard Drives or SSD with drive heights up to 12.5mm. Please see images below for step-by-step installation instructions.